For all those times when four strings aren’t enough, the EXP170-5's deliver all the tone and performance of our best-selling EXL170-5 5-string bass set. 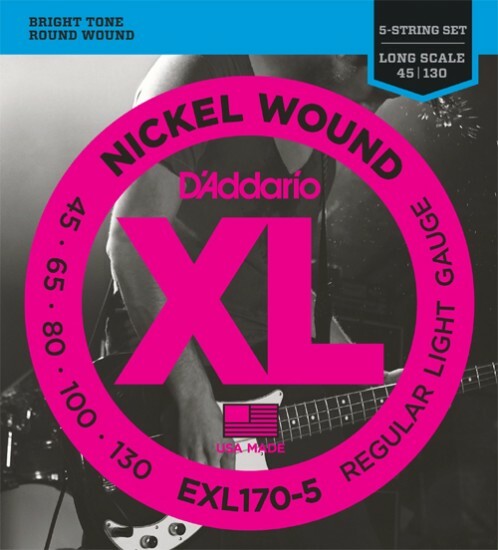 D’Addario’s proprietary coating process is precise to within 10,000th’s of an inch, providing the most comfortable feel and consistent sound possible. The resulting tone is full, rich and powerful, and that extra string gives you even more control. Fits long scale basses with a string scale length of up to 36 1/4 inches.